With rapid growth continuing in the data center colocation market, colocation providers are scrambling to find enough talented professionals to run their facilities. An upcoming webinar will discuss a strategy for helping them deal with the situation: out-tasking critical facility operations to a third party. The numbers tell the story, with analysts such as 451 Research, predicting a compound annual growth rate of 9.3% in the colocation market from 2017 to 2022. Others are even more bullish. Zion Market Research says the colocation market will grow from $31 billion at the end of 2017 to $105 billion by 2026, a CAGR of more than 14%. Global Market Insights expects a CAGR of more than 17% from 2018 to 2024. No matter whose numbers you choose to believe, it’s clear that colocation companies are in a constant state of expansion. They are challenged to quickly design and build new facilities in order to take advantage of market opportunities. But building new facilities really isn’t the hard part. Companies can use reference designs and take advantage of modular data center components to build out new facilities in far less time than the “stick built” data centers of the past. Such an approach also reduces risks inherent in stick-built construction and the resulting data centers are typically more efficient as well. 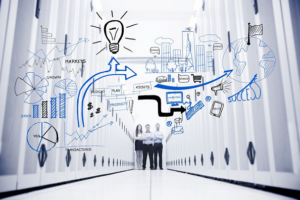 The real challenge comes after the data center is built and is ready to populate with IT gear. At that point, you need a staff of data center professionals who understand how to operate and maintain a critical facility. However, this talent is in short supply. Indeed, the colocation industry has one of the lowest unemployment rates of any industry – less than 0.5%, or one-half of one percent. That leaves colocation providers scrambling to recruit and train new critical infrastructure operations professionals, which takes time. Once trained, companies then need to also retain these employees, which is another challenge in such a competitive market. There is another option: out-tasking your critical facility operations. Schneider Electric, for example, currently operates more than 100 data centers for customers around the globe, including some of the world’s largest. We understand the skills shortage problem because we live it, too. But we also have a recruitment and training program set up to deal with it, such that we’re continually training the next class of critical facility technicians (CFTs). This is no mean feat, because the skills required to manage a critical facility are many, including risk and asset management, vendor management, and budgeting. To learn more about the topic, attend our webinar, Enabling Growth and Service Excellence for Colocation Providers by Out-tasking Data Center Operations, held on Wednesday, April 10, 2019, at 10 a.m. ET. I’m joined by two industry experts. Brian Gisi, Infrastructure Management & Services Manager at IBM, who shares how out-tasking IT white space operations has enabled growth for IBM. Also in attendance is my colleague Tony DeSpirito, Vice President/General Manager of Data Center Operations for Schneider Electric. Tony runs the team that operates all those data centers around the globe and will talk about the benefits colocation providers can yield from partnering with a third party for data center operations. 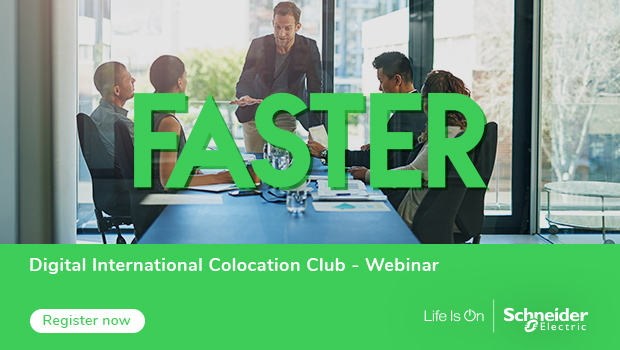 It’ll be an hour well-spent, providing you with information on an option that can help you deal with the tremendous growth and opportunity that the colocation industry is now experiencing. Be sure to register.